EPFL scientists have developed a solar-panel material that can cut down on photovoltaic costs while achieving competitive power-conversion efficiency of 20.2%. Some of the most promising solar cells today use light-harvesting films made from perovskites – a group of materials that share a characteristic molecular structure. However, perovskite-based solar cells use expensive “hole-transporting” materials, whose function is to move the positive charges that are generated when light hits the perovskite film. Publishing in Nature Energy, EPFL scientists have now engineered a considerably cheaper hole-transporting material that costs only a fifth of existing ones while keeping the efficiency of the solar cell above 20%. As the quality of perovskite films increases, researchers are seeking other ways of improving the overall performance of solar cells. Inadvertently, this search targets the other key element of a solar panel, the hole-transporting layer, and specifically, the materials that make them up. There are currently only two hole-transporting materials available for perovskite-based solar cells. Both types are quite costly to synthesize, adding to the overall expense of the solar cell. To address this problem, a team of researchers led by Mohammad Nazeeruddin at EPFL developed a molecularly engineered hole-transporting material, called FDT, that can bring costs down while keeping efficiency up to competitive levels. Tests showed that the efficiency of FDT rose to 20.2% – higher than the other two, more expensive alternatives. And because FDT can be easily modified, it acts as a blueprint for an entire generation of new low-cost hole-transporting materials. This study was led by EPFL’s Group for Molecular Engineering of Functional Materials, in collaboration with the Istituto di Scienze e Tecnologie Molecolari del Consiglio Nazionale delle Ricerche (Italy), Panasonic Corporation (Japan), EPFL’s Laboratory for Photomolecular Science and Laboratory of Photonics and Interfaces, and the Qatar Environment and Energy Research Institute. 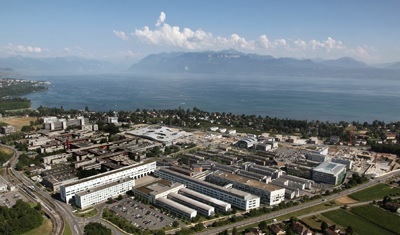 It was funded by the European Union Seventh Framework Programme (MESO; ENERGY; NANOMATCELL), the Swiss National Science Foundation, and Nano-Tera.